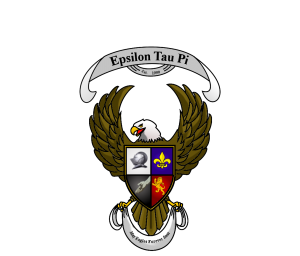 Epsilon Tau Pi is the premier Eagle Scout fraternity dedicated to brotherhood, service, and the principles of Scouting. Brotherhood is very important within Epsilon Tau Pi. The limited number of Eagle Scouts creates a tight knit organization of friends that share the same common experiences and many of the same goals for the future. Epsilon Tau Pi builds brotherhood everyday through social activities such as camping, sporting events, barbecues and cookouts, canoeing, or just hanging out. Service is also a large part of life in Epsilon Tau Pi. Becoming an Eagle Scout is built upon service to others and it is such that Epsilon Tau Pi is built upon. The brotherhood serves the community as well as the local Scouting communities as a way to give back to Scouting.